Thank you so much for visiting my blog today, I really hope you like my project. It is my turn to set the Wednesday Challenge over on the Facebook group Stampin' For All where I am a member of the design team. This Wednesday it is a card sketch. 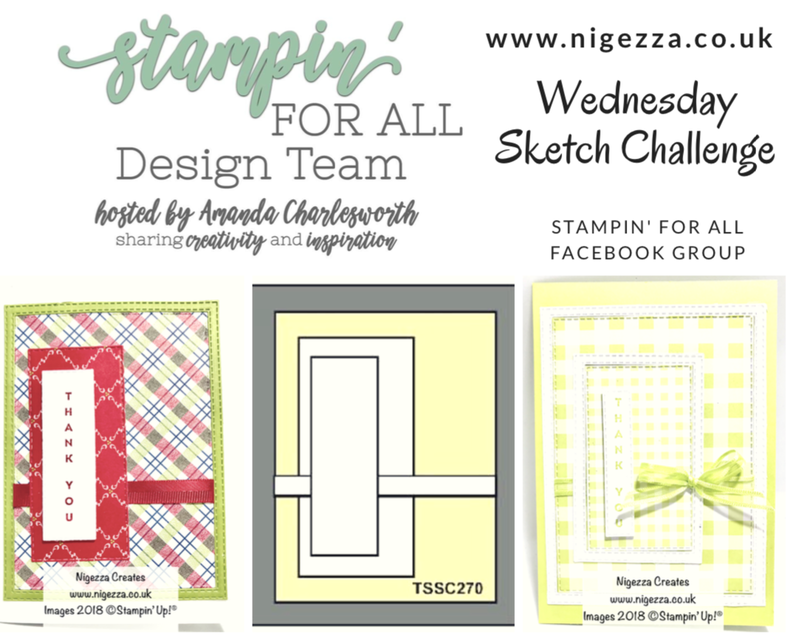 I chose this sketch because have just bought the Layering Rectangles from Stampin' Up! and I wanted t use them.